ClarkVision Photograph - Wow, look at my hand! 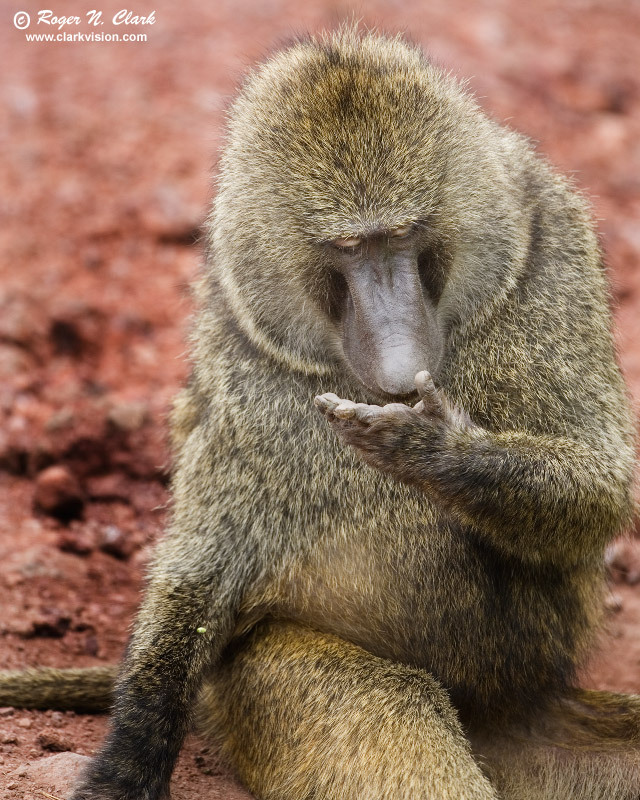 Baboon, examining his hand. Lake Manyara National Park, Tanzania, Africa. Technical: Canon 1D Mark II 8-megapixel camera, Canon 500 mm f/4 L IS lens. Exposure: 1/125 second at ISO 200, f/4. Full width image, 10% vertical crop.